The cast and crew of the upcoming comedy movie “Mubarakan” are in London for the 50 day schedule of their comedy set to release in cinemas in July 2017. 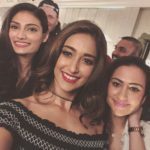 The cast includes Anil Kapoor, Arjun Kapoor, Ileana D’Cruz and Athiya Shetty and they will be shooting in and around the England for around 50 days. 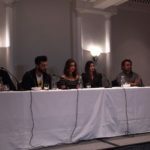 As an exclusive first, the cast and director met with media at a fun-filled interaction on location amid the grandiose of Sheraton Park Lane, Mayfair. In attendance were real life “chacha” and “bhateeja” Anil Kapoor and Arjun Kapoor, who plays a double role in the movie, and Athiya Shetty and Ileana D’Cruz who are Karan (Arjun Kapoor) and Charan’s (Arjun Kapoor) love interests in the movie and of course the comedy producer, Anees Bazmee. Q: How is it different working with local British talent and actors and actresses back in Mumbai, India? Athiya Shetty: This is my second film so I still have a lot to learn, but I think everybody has a great energy and everybody is working together really well. They are adapting to the way we work and we are adapting to the way they work as well. But I feel it is a happy family even on set and everyone’s having lots of fun. So it’s not very different. 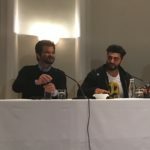 Q: You were shooting a scene in the Gurdwara in Gravesend. How’s the reaction been to shooting outside central London? Ileana d’Cruz: I actually was really surprised when I saw the Gurdwara in Gravesend. It’s massive and I think I have explored every room there, it’s huge. It’s my first time inside a Gurdwara as well, but it was beautiful. It’s been fun, it’s been nice. I thought it was going to be really far off but it’s actually a really nice drive, about an hour and ten minutes way from where we are staying. Q: How is it for you to work a) with family and b) with new generation actors? Anil Kapoor: I think when I am on set I just forget I am a professional. I remember one of the first shots I had was with the senior most actor in our country, which is Dilip Kumar, so for me I know that on every set I feel the same way with every actor. For me, when on set, I am in character and give my younger or senior the same kind of love and respect and I enjoy being on the set with everybody around me. When we are on set we are all in the characters of what we are playing, it’s not that Arjun is my nephew but for me he is Charan and Karan in front of the camera. Q: It’s been said in Bollywood it’s easy to make people sad, make them cry, make them sing and dance, but it’s very hard to get your comic right. Do you also feel that way? 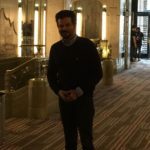 Anees Bazmee: I feel I have written a lot of movies, romantic films, emotional ones but genuinely the most difficult ones to write are comedies. In comedy if you go slightly off, it can become a very poor movie and I feel as a writer if you haven’t written a good scene it becomes a big pain for actors because they have to try very hard to make it funny. Whenever I have written good comedy I have mostly written them when I was in a bad mood, so for me it doesn’t necessarily mean that if you are writing a comedy you have to be in a very funny, laughing mood. Q: You are playing a double role in Mubarakan, what’s that been like? Arjun Kapoor: I have played a double role before, I did “Aurangzeb”. It gives me a certain calmness because I have played it once before so I know what you have to do as an actor to prepare and to be on set and the time that it’s taken to pull it off. It’s a gift for an actor to get to do two characters in a film. You’re lucky to get one good character in a film, but I am getting to play two and I’m getting to do it despite doing it once before. So the faith that the director has in me that I can pull off playing two characters gives me a lot of confidence and excitement. It’s about having fun with the role. Big Thanks to Iram and Imran for covering this event for Upodcast! 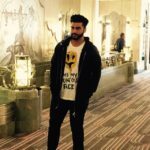 Mubarakan is produced by Sony Pictures Networks Productions and Ashwin Varde & Murad Khetani’s Cine1 Studios. 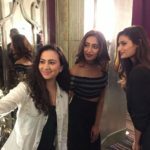 The film has been written by Balli Januja and Rupinder Chahal. Mubarakan is slated for a worldwide release on 28th July 2017 release.